Football coaches look at the season in quadrants (4 games a clip). The success Goff had was earlier in the season and regressed after the bye week. As teams saw more of McVay's scheme, it became easier to figure out and Goff looked bad. He was also missing open WR's badly in the last 4 games, not to mention the turnovers. I am hoping Goff proves me wrong, but Dallas' front seven will make Goff uncomfortable and I am concerned. 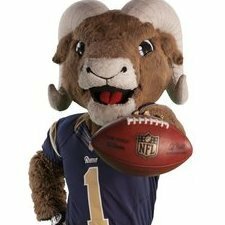 If Gurley get's going we should be fine, but Dallas can stop the run and force Goff to beat us, I will be very nervous. I get what you are saying about the season being in 4 quadrants from what the not only the coaches but the players see. Im just saying that people shouldnt erase what happened in Goff body of work for a bad 3 game stretch. He made a few horrible throws against the Lions, he had his worst game in the McVay era against the Bears, and he looked bad for 3 quarters against the Eagles. He did make a few plays in the Lions game to help the team win. He nearly lead a 4th quarter comeback against the Eagles. So I think people are zeroing in on that Bears game really and making the big assumption of all of Goff good body of work being thrown out of the window. I get people look at the flaws more than the success, but did anyone make a big deal about Goff 3 game stretch early in the season when he at least 350yds passing and completed at least 75% of his passes? No. Goff had a slump, it happens in a long season. Some QBs people overlook if they have a slump like Brady in December last season or Brees during his 3 game road trip this season. 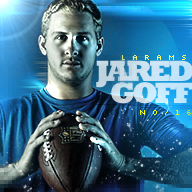 What Goff did this season was prove that last season wasnt a fluke. That is what people should be talking about. Teams didnt figure the Rams out because if so they wouldve done it earlier in the season. Im still not buying the notion that it took till Week 13 and the Lions was the team that figured the Rams out. Its not just the Rams. Every time a successful team lose the first thing the public say is, has that team finally have the blueprint? When the Warriors get beat or Duke or the Patriots its the same thing. Sure there is a blueprint to beat every team. To beat the Warriors you have to be physical just like the Cavs was in 2016 when they beat them in the Finals. You also have to make your shots too. Against Duke you have to force them to take 3's because they arent a great 3pt shooting team. You have to make them earn points at the free throw line because they arent a great free throw shooting team. If you have bigs that can control the glass that also helps because Duke doesnt have the size. Thats how Gonzaga beat them. So there is a blueprint. It doesnt mean it will work all the time. Doesnt mean the team cant overcome anything you throw at them. Gurley has been ineffective in multiple games this season, the defense still gives up alot of rushing yards, and chunk plays yet the Rams are still 13-3. The Rams still is 2nd in the NFL in points scored, 3rd in rushing, 8th in passing. Goff is still great in the 4th quarter that shows because the Rams still havent lost a game all season long when they have a lead in the 4th quarter. So again I think people make too big of a deal of that 3 game rough stretch in which the next two games Goff bounced back. He had one fumble which was all on Anderson because he missed that blitz pickup. I gave him a mulligan because that was his first possession on a team he just got to days prior after being on the couch. Since that one fumble against the Cards on the opening possession, Goff hasnt turn the ball over and has looked great. So Goff has bounced back from that 3 game rough stretch. Its not like he has falling completely off the map and is shell shocked. Ok, thats what I thought you were saying. First of all, how the hell is the stadium not sold out 48 hours before kick off? Secondly, you are highly underrating the secondary market. According the second hand market there are now 2555 remaining seatswhich is fewer than are available in New Orleans and Kansas City and only 30 more than they list in New England. I expect the same game scenario like against the Bears and the Eagles. I'm more confident about the Cowboys Running game that our running game and they will run a lot, playing the clock while stopping the run and putting pressure against Goff. That's their recipe and it will work unless we step up in defense or Goff playing like at the beginning of the season. If he played like the 2nd half of the season, it won't happened. 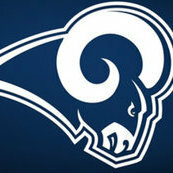 I will support the Rams but i don't really have faith for tomorrow. You're such a Debbie Downer all the time, Flounch. The 49ers were a top 10 run defense until we torched them with C.J. Anderson. We'll be fine. You don't really have any faith? The Rams are the better team and have much better coaching. Plus, they're playing at home. I think the Rams are in a really strong spot to win this game. It's quite possible he hasn't said a positive thing about the Rams all year. Strange thing for a Rams fan to do but it's true. We’ll trade you for @Flounch you at least can see some positives in a 13-3 team. he can fit in with that gloomy, depressing Seattle weather just fine. That shocks me. How is that possible? Havent teams like the Pats/Saints been sold out every game for 10+ years? This doesnt make any sense. Price of playoff tickets are higher maybe? I don't know, I find it hard to believe that as well. I think it's a survival mechanism that some of us Ram fans from the dark years adopted. I find myself doing it from time to time. Better to be doubtful of your team than optimistic and be let down. 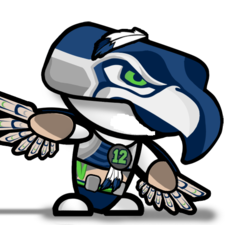 I'm confident we can win today. I'm prepared for the worst, but if we play our game, we are a better team no question. Let's get it! We are winning today! It's very likely I've been a Rams fan longer than anybody else on this board Don't have to tell me how it is rooting for this team. Yes on paper we are supposed to be the better team. But in reality their defense is better and running game too. The home field advantage i don't believe in it. 30% of cowboy fans in a PO game, outside LA i don't think the % is that high ? But i don't really know. I said positive thing but i'm not blind either. Our record is 13-3 but that the weakness in our team could cost us the game tonight. There is so many question mark on defense and offense. I' m not confident at all. Its game day folks. Ive already said in another thread that the Rams will win 31-23. Im not going to give you stats because in the playoffs I just want to win and advance no matter how it looks. I do think Goff has a great game and the running backs (Gurley and Anderson) together will be very productive. The Rams, along with the Saints and Chiefs are the best teams in the NFL. I predicted the Colts to beat KC because they are the most dangerous team left in these playoffs. 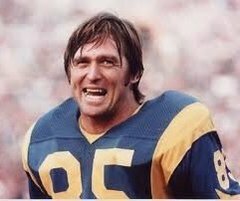 The Rams I expect to go out there and continue to ball. The last time we saw the Rams on the field they created turnovers and put up 48pts easily. One person called that game a through away game which is funny because the Rams had a BYE on the line. That same person didnt mention the Cowboys Week 17 game a throw away game but uses that game as a reason why Dak and the Cowboys are rolling. So people can spin things all they want, none of that matters now. Today the Rams have a chance to continue to show why they are one of the best teams in the NFL. The Cowboys are good, but the Rams have shown all season long the biggest difference between a good team and a great team. The Rams will once again show that difference when they beat the Cowboys. The difference though and it's pretty obvious, is some of us can and do acknowledge weaknesses and still are able point out we have strengths. Some people can't. Lets go baby. Really wishing we get a opening TO and a 21 point lead in a blink of an eye.